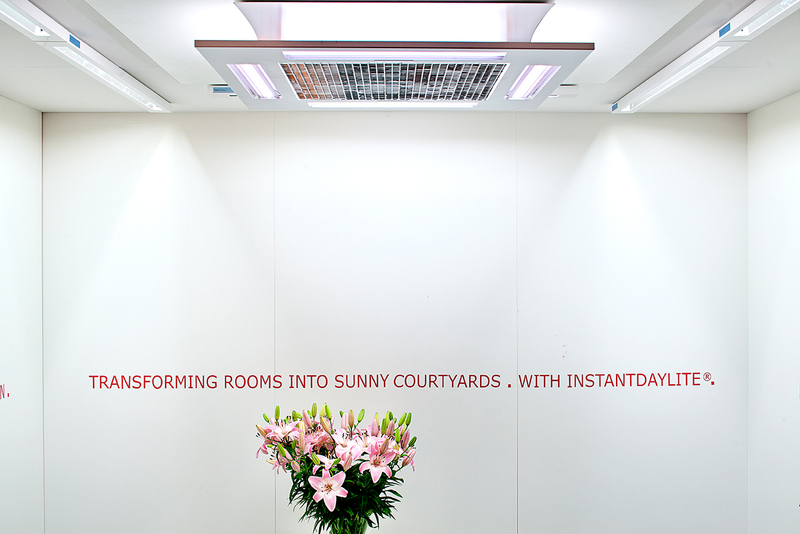 Instantdaylite° develops and manufactures lamps and lighting systems that simulate natural daylight in the areas of CRI (Colour Rendering Index), light temperature and UV content of up to 96%. 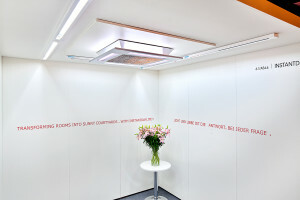 For this reason, their slogan is “transforming rooms into sunny courtyards“, in reference to the beneficial biological effects triggered in humans, animals and plants as described in numerous studies. 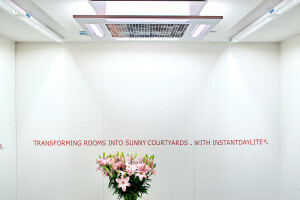 Instant-daylite° was awarded the innovative design prize at the Lightfair 2012 in Warsaw (PL). Instantdaylite° developed a wall washer that lights up entire walls while using very little space and offering high quality lighting. The light quality is comparable to natural daylight when it comes to CRI (Colour Rendering Index), light temperature, light intensity and UV content. These characteristics induce biological effects that cannot be achieved with LED lamps. In addition, the Instantdaylite° Micro REL can be dimmed as required, creating a moonlit effect at the lowest level (reflected daylight).